I'm always hesitant to say “you must spend money on this thing.” Blogging shouldn't really cost a gazillion dollars a month. And it easily could, with the zillion products and services that are out there. But, guys, if you spend money on only two things for your blog, it should be ConvertKit and Leadpages (don't ask me to pick between the two…I don't know!). We talked about ConvertKit in my last post. So now Leadpages' time has come. *This post contains affiliate links, which means that if you click an affiliate link and make a purchase, I may receive a small commission. There is no extra cost to you for this. Leadpages has two primary functions: landing pages (Leadpages) and pop-ups (Leadboxes). And both are crucial. That may sound dramatic. 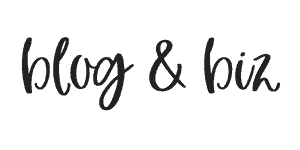 But honestly, I use both of them on a daily basis and I don't know how I would blog without them. Here's why. Leadpages has a ton of templates to create these things, and it's super easy to do. It's totally customizable and you can use it for almost anything. And then there's Leadboxes. Leadboxes are basically pop-ups. Well, not basically. They are pop-ups. They are clean and simple and I just love the way they look. You can use them as “regular” pop-ups (or exit pop-ups), or you can integrate them into your page. Which brings me to the point of this post. I use Leadpages for just about everything. Here are my top 5 strategies for using Leadpages to boost your blog. I use Leadboxes for pretty much all of my content upgrades. If I've got a content upgrade in a post, I add a button: Grab it! It links straight to a Leadbox. Click on it, and the Leadbox pops up and lets people enter their email to get the free content upgrade emailed to them instantly. 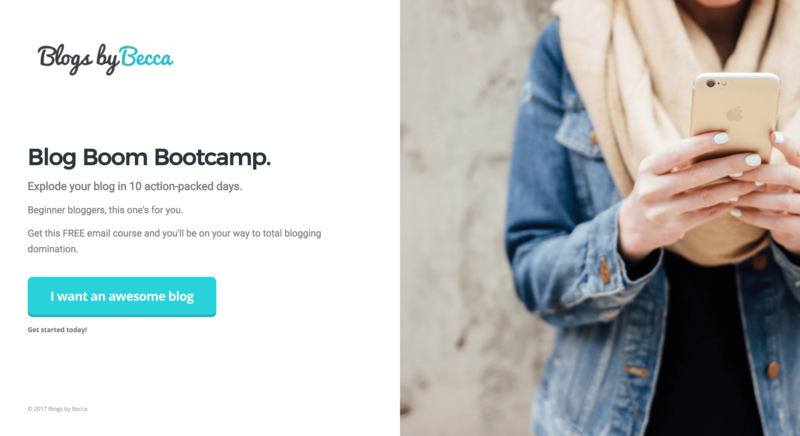 You can upload content upgrades straight to Leadpages, or you can integrate it with ConvertKit (or your email provider of choice) and send them that way. It's so fast and simple, and it allows you to customize the pop-up for every single content upgrade. So there's no generic “Sign up for things” pop-up. It's “Enter your email to get the ConvertKit Guide instantly!” I use this in almost every post. Thumbs way up. I use Leadpages for all of my email course sign ups. There are a ton of templates to choose from and it's super easy to customize. 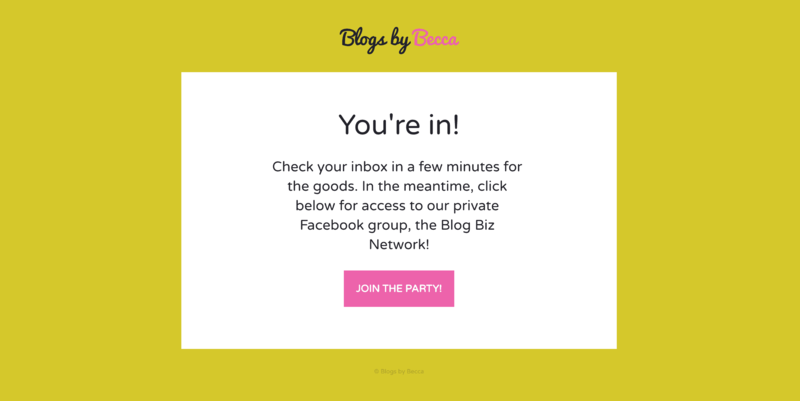 I prefer to use a Leadpage over just a page on Blogs by Becca because I can totally customize it (no sidebar, no header) and I can send out the link exclusively for that landing page. When people click on it from the tweet or the Facebook post, they only see that landing page. Not the 100 other things on my blog. I use it for every one of my email courses and I've had great results. When someone signs up for something via Leadpages or ConvertKit, it's a good idea to give them a thank you page after they've submitted their email. And what a shocker, Leadpages has you covered there too. You do have the option to use a default thank you page on Leadpages, but I create custom thank you pages for almost all of my pages/boxes. Leadpages has a ton of webinar sign-ups pages, and you can actually host a webinar right on a Leadpage. It's super easy to customize and share. And it's got features like video and countdowns. When I've got a new product launching soon, I make a Leadpage for it. It allows people to sign up to get extra information and exclusive VIP offers that I'm only offering to subscribers. 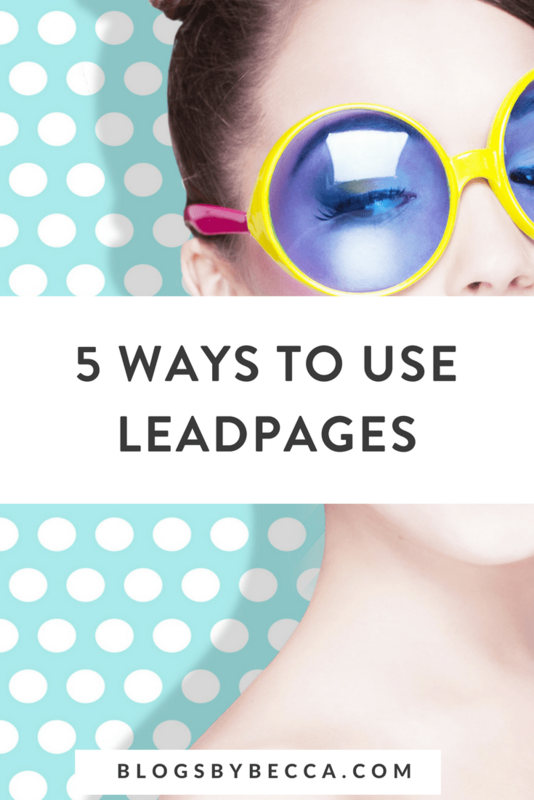 Those are my five favorite ways to use Leadpages. But did I miss any? What do you use Leadpages for? Tell me in the comments! I'd love to find something new to use it for!